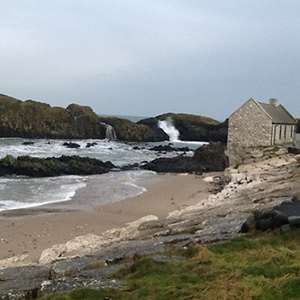 “Top o’ the mornin’ to ya.” The truth is, most Irish do not say this, but you’ll want to say it on this Monograms Ireland vacation. Why? 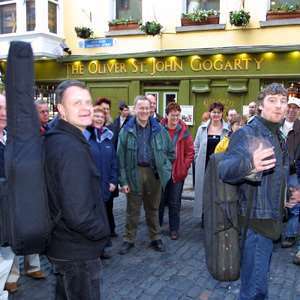 Because we’ve made your trip to Ireland easy by handling the details for you, so you’ll likely be so happy you’ll want to greet everyone you pass—not just with “Top o’ the mornin’ to ya,” but with “Top o’ the day” and “Top o’ the night.” On this 10-day vacation, we've arranged your hotel reservations, transportation between cities, sightseeing, and daily breakfast. Plus, you'll have a Local Host® in each city, someone who is there throughout your stays to ensure your vacation runs smoothly and you get the most out of your trip. Your vacation begins when you arrive in Limerick, where we pick you up at the airport and transfer you to your Limerick hotel. Here, your Local Host will greet you with a warm welcome and materials to help you get settled and familiar with the city. The next day, after included breakfast, you'll have the opportunity to take a hop-on/hop-off sightseeing tour to see attractions such as St. John's Cathedral and the Shannon Bridge. The following day, we will transfer you via a chauffeured car/minibus to Killarney, where we've arranged a jaunting car ride through the town and national park to Ross Castle. You'll enjoy splendid views of Ireland's highest mountain range and stop for photographs of the spectacular Lakes of Killarney. You'll also have a full day in Killarney to explore on your own. Perhaps visit Ross Castle, dating from the 15th century; visit Muckross House, a Victorian mansion built in 1843; or take an excursion to the Ring of Kerry for amazing scenery. Your Local Host will have plenty of suggestions. Then, it’s off to Dublin via train. We will transfer you from your Killarney hotel to the train station, and we will pick you up at the Dublin train station and transfer you to your hotel. Here, your Local Host will greet you with materials to help familiarize you with Dublin. The next morning, after included breakfast, we will pick you up at your hotel for sightseeing with a local expert, someone who will share insider stories around such must-see attractions as St. Patrick's Cathedral. Your tour features the Old Library at Trinity College, where you will see the famous 1,200-year-old Book of Kells. Finally, we will pick you up at your Dublin hotel and take you to the train station for your travel to Belfast. We will pick you up at the Belfast train station, take you to your hotel, and once again present you with materials so you can begin exploring immediately. In Belfast, we've arranged a hop-on/hop-off sightseeing tour for you. We've also included tickets to the Titanic Exhibition so you can learn all about the ship’s construction and the tragic night of April 14, 1912. And did we mention the train travel we've provided is first-class? With the sightseeing and guides we've arranged, the hotels we’ve booked, and the transportation and transfers we've included, all you have to do is sit back and relax. We've handled all the other details, so you do not have the stress, headaches, and hassles of trying to figure out how to get from place to place and what to see once you are there. Be sure to grab your camera and get ready to say "Top o’ the mornin’ to ya!" 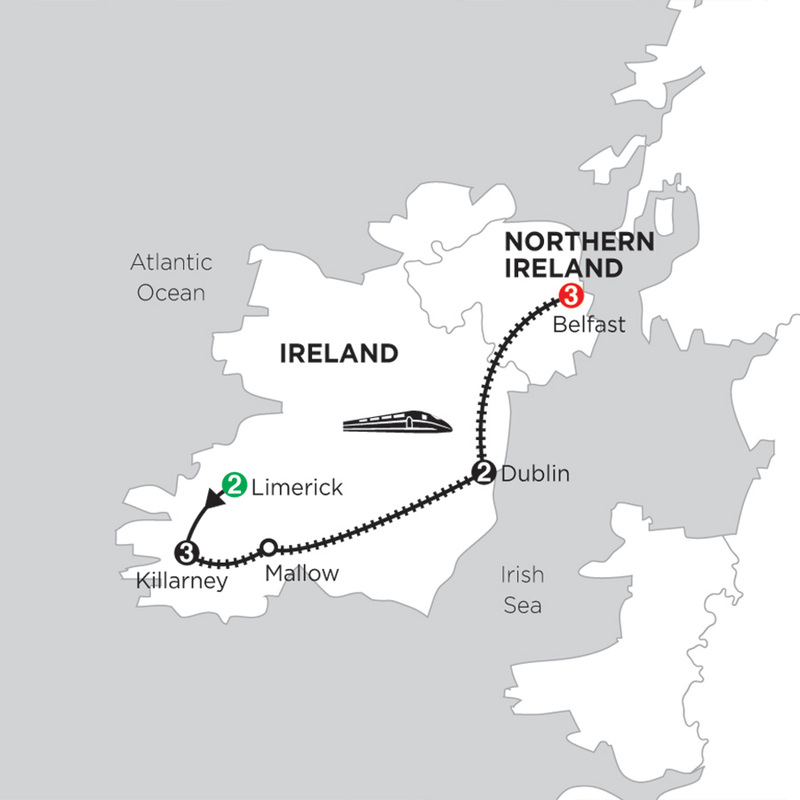 Your Monograms vacation to Ireland includes hop-on/hop-off sightseeing tours in Limerick and Belfast, so you’ll have the opportunity to explore and experience these cities at your own pace. Céad míle fáilte—a hundred-thousand welcomes! Arrive in Limerick (nearest airport is Shannon). Your Local Host will help you maximize your time. 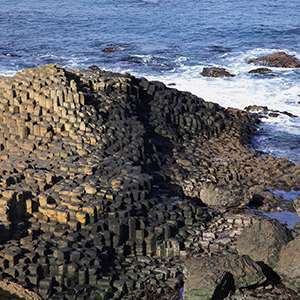 This afternoon, your Local Guide will take you on a WALKING TOUR past the Treaty Stone, Bishop’s Palace, King John’s Castle, and St. Mary’s Cathedral to experience the wealth of history and folklore that this lively Irish city has to offer. Today is yours to enjoy at your own pace. Why not visit the Hunt Museum? Tucked inside a former Custom House, it exhibits an internationally important collection of some 2,000 original works of art and antiquity. This morning, travel to Killarney by chauffeured car/minibus. Start your exploration of Killarney with a fun-filled JAUNTING-CAR RIDE through the town and the national park to Ross Castle. Enjoy splendid vistas of Ireland’s highest mountain range, MacGillycuddy’s Reeks, and stop for photographs of the glorious Lakes of Killarney. Your Local Host will have suggestions for the rest of the day. Enjoy a full day discovering this colorful resort on your own, or you might like your Local Host's suggestion to venture out to Torc Waterfall. From the top of the fall, reached by a winding path, you can take in beautiful views of the lakes and mountains of Killarney National Park. Morning guided sightseeing takes you past St. Patrick’s Cathedral, the largest church in Ireland; along elegant Georgian squares; and statue-lined O’Connell Street. Look out for the effigy of Oscar Wilde, reclining on a huge granite stone and seemingly without a care in the world; or Molly Malone, commemorating the young woman featured in the local ballad Cockles and Mussels. Finally, visit the Old Library at TRINITY COLLEGE, and see the famous 1,200-year-old Book of Kells. It is testimony to Dublin’s literary tradition, dating back over a thousand years, when monks would transcribe the Bible into beautiful manuscripts. Dublin sightseeing might take place on Day 6. 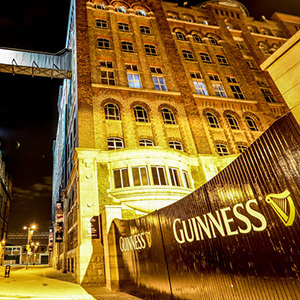 A day to discover Belfast at your own pace, or to take one of your Local Host’s suggestions. Why not drop in at the Crown Liquor Saloon, formerly a Victorian gin palace and famous for its intriguing interior? Overlooking the banks of the Shannon River, the hotel is only is minutes away from the city¿s business and shopping center and its famous attractions: King John¿s Castle, the famous Treaty Stone, and the Hunt Museum. The 184 guestrooms are contemporary ins style and generous in size. The light, airy rooms boast large windows that offer views of the shining city skyline, comfortable beds, flat-screen TV, laptop safe, hairdryer, iron/ironing board, mineral water, and tea/coffee-making facilities. 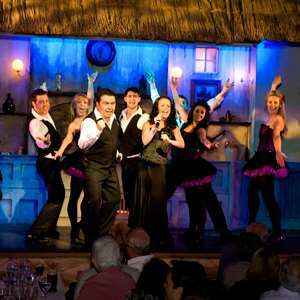 This 198 room luxury hotel is situated right in the heart of Killarney town. The Killarney Plaza is home to three fine restaurants featuring global cuisine freshly prepared by internationally trained chefs, two bars and a lounge. The leisure amenities in the hotel include a fully stocked state-of-the-art gym, sauna, steam room, jacuzzi, swimming pool and the Decléor & Carita spa with a large array of treatments on offer. Complimentary Wi-Fi access is available in all public areas and guestrooms. Ideally located in the heart of Killarney town, the hotel is within walking distance of the main shopping street, great pubs and restaurants, and the beautiful Killarney National Park. 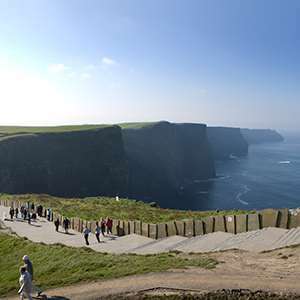 An insight into the unique limestone landscape of The Burren followed by a visit to the world famous Cliffs of Moher. 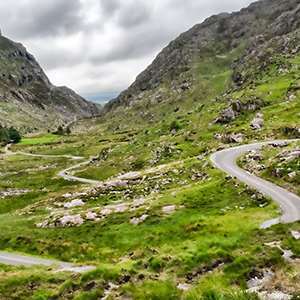 A jaunting car ride, a cruise on three of the picturesque Lakes of Killarney, and fantastically rugged natural beauty awaits you on this splendid excursion to the Gap of Dunloe. 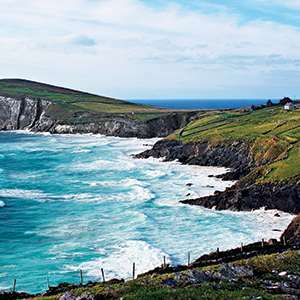 On this day trip to County Kerry's rugged Atlantic coastline, enjoy some of the country's most beautiful and rugged scenery, along with some of its friendliest hospitality in the quaint fishing village of Dingle. 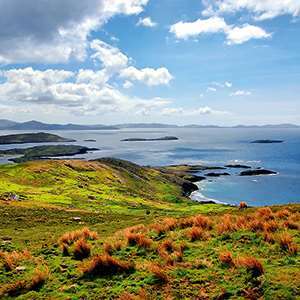 The Ring of Kerry in the south-west of Ireland is one of the country's most scenic routes taking in beautiful, unspoilt natural environments and picturesque villages. An excursion not to be missed! Monograms provides travellers access to a Local Host®, so you will have someone on hand to answer those vacation questions pertaining to Dublin, Ireland. No waiting in line at the concierge desk or trying to ask your waitress at breakfast directions to the shopping district. Your Local Host® will share local Dublin insights and share suggestions for getting off the beaten path, leaving you more time to create lasting vacation memories that are yours alone. The collection includes over 2,500 paintings and some 10,000 other works in different media including watercolours, drawings, prints and sculpture. The gallery's highlights are the Yeats Museum, and works by Vermeer, Caravaggio, Picasso, Van Gogh and Monet. Take a break in St. Stephen's Green, the inner-city public park, laid out in 1880 at the initiative of Sir Arthur Edward Guinness, a member of the Guinness brewing family. The Victorian park is a sanctuary from the bustle of the city streets with tree lined walks, shrubberies, colourful flowerbeds, herbaceous borders and an ornamental lake. In the summer months you can also enjoy lunchtime concerts.